A study of 8,000 heart failure patients shows that heart failure occurs at a much younger age for Asians, who develop the disease a good decade before people in Western countries. AsianScientist (Jun 11, 2014) – Asians suffer from heart failure at least ten years earlier than their Western counterparts, according to a study encompassing 8,000 heart failure patients in 11 Asian countries. Preliminary results from the first 2,000 patients enrolled in the first year of study have revealed that the average age of Asian patients with heart failure is 60 years, much younger compared to patients from other studies in the US (72 years) and Europe (70 years). These findings were presented by National University of Singapore (NUS) Yong Loo Lin School of Medicine (YLLSoM) Associate Professor Carolyn Lam at the European Society of Cardiology Heart Failure Congress in Athens, Greece. The international, large-scale study also revealed a very high rate of diabetes and hypertension among heart failure patients in Singapore and Malaysia. These rates are higher than those in the other Asian countries studied, namely China, Hong Kong, India, Indonesia, Japan, Korea, Philippines, Taiwan and Thailand. Lam pointed out that the average ages of patients from China, India and Malaysia are even younger than 60 years, and the rates of diabetes are strikingly high among patients from Singapore and Malaysia. The disease affects almost 60 percent of patients in Singapore and almost 50 percent of those from Malaysia, compared to only 33 percent of patients in Europe. “These findings have important implications for risk factor control and treatment for the prevention of heart failure,” she explained. Heart failure is a major public health problem worldwide. As the final common pathway of a myriad of heart diseases, the heart failure burden increases with the growing prevalence of cardiovascular disease in a community, as patients survive their acute cardiac conditions (such as heart attacks) and progress to chronic heart failure. Furthermore, heart failure is a debilitating and deadly condition with high re-hospitalisation rates and dismal survival rates comparable to most cancers. Statistics from the study reflect the global shift in the cardiovascular disease burden to developing countries in Asia. In fact, the World Health Organization has projected that the largest increases in cardiovascular disease worldwide are occurring in Asia, due to rapidly increasing rates of smoking, obesity, dyslipidaemia and diabetes among Asians. Thus, the burden of heart failure is expected to reach epidemic proportions in Asia. The findings from the multinational study will help doctors understand what Asian patients with heart failure are dying from and whether some of these deaths may be prevented. 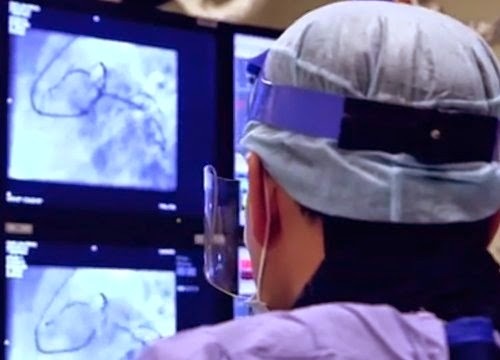 The long-term goal is to improve the survival of Asian patients with heart failure.